I love it because it makes it so much easier to find my necklaces and with all of my jewelry so well displayed, it actually helps inspire new outfits. While mine is propped against the wall, it may work better for others to actually mount the ladder to the wall so it's at eye level and out of the reach of pets or little hands. This ladder is fairly small (only about 3 ft. tall) -- I bought it at an antique store in Fredricksburg for $14. I think it may have originally been made for drying flowers or something of that nature. When I was shopping, I was also looking at full size antique wood ladders (~$40) which given the scale, would have become much more of a statement piece in the room. Like most designers, I gleaned my ladder inspiration from another blog post that I found here. There are quite a few different ideas out there involving shadow boxes, frames, coat hooks, and peg boards-- several of which can be found in this round up from Apartment Therapy. Peg boards like the one below are certainly an easy, hook ready way to hang your necklaces. If you're looking for an earring display, I would suggest using an old window screen or a framed piece of mesh. Ulimately, the possibilities are endless. 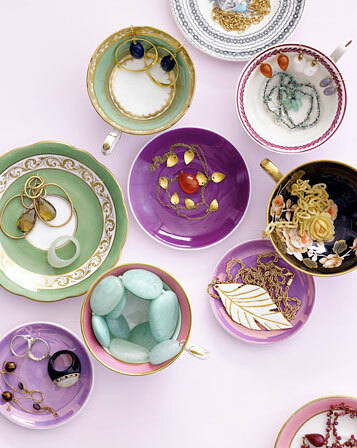 There are so many resources out there for creative jewelry displays -- you can use anything from old teacups and cake stands to recycled shutters to display your jewelry. There are lots of websites out there with instructions and photos to inspire you. There are a few more clever ideas here as well. Whichever method you choose to display your jewelry, it's important to ensure that the scale of the display system is proportional to the amount of jewelry you would like to display. 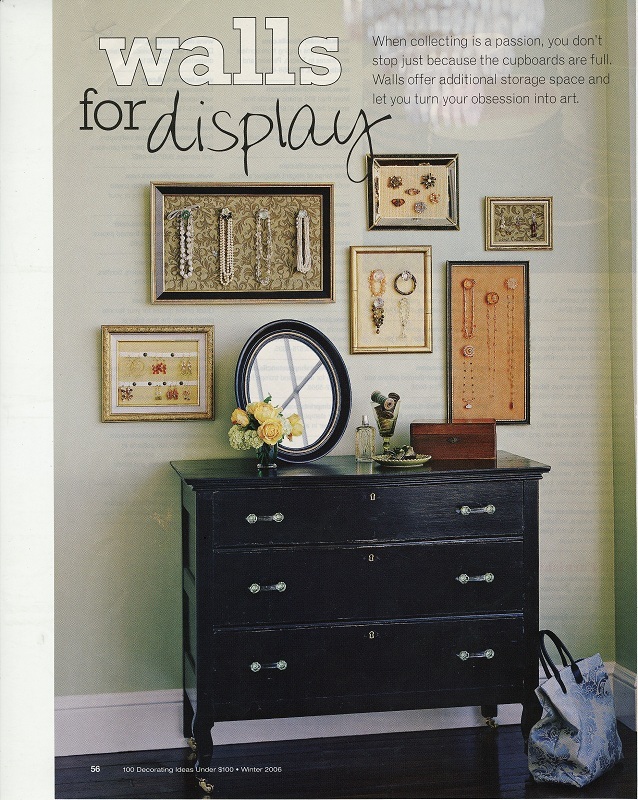 Displays can be so beautiful as long as they're not too overloaded and adding excess clutter in your room. 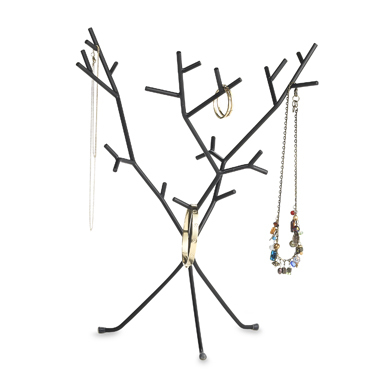 Feel free to chime in with your jewelry display suggestions. Anything you're loving so far?